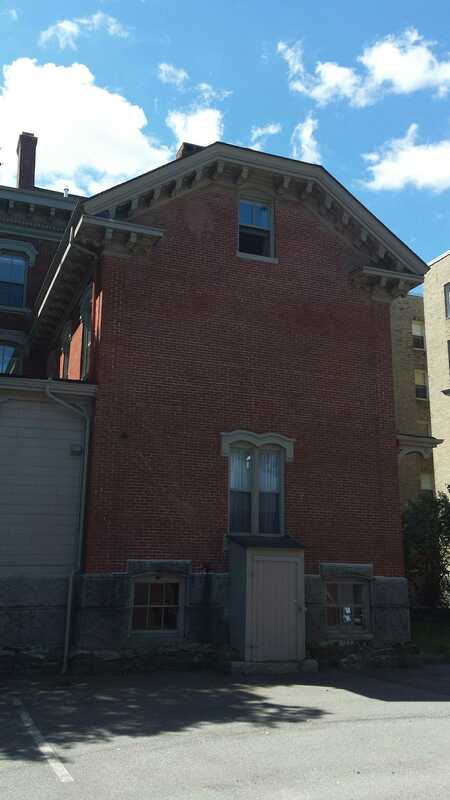 Edmund Phinney was a partner in Phinney & Jackson Cooperage Stock located at 223 Commercial in 1873. He purchased the land for our subject from the Brown family, John B, John M & Philip H in 1866. When he purchased the property, Edmund also took a mortgage from John B for $4000 of the $5000 purchase price. A notation on the side of the mortgage, signed by John B, shows it was paid in full in 1868. Edmund’s first wife Betsy passed away in 1866 leaving him with 4 children. They were Helen, age 20, William, age 18, Harmon, age 16 & John, age 14. In November of 1867, Edmund married Jane Hight. Jane was born in Wayne in 1829. The plan is a 3 bay with 3 full stories and a forth in the garret. It’s decidedly vertical in massing and form. 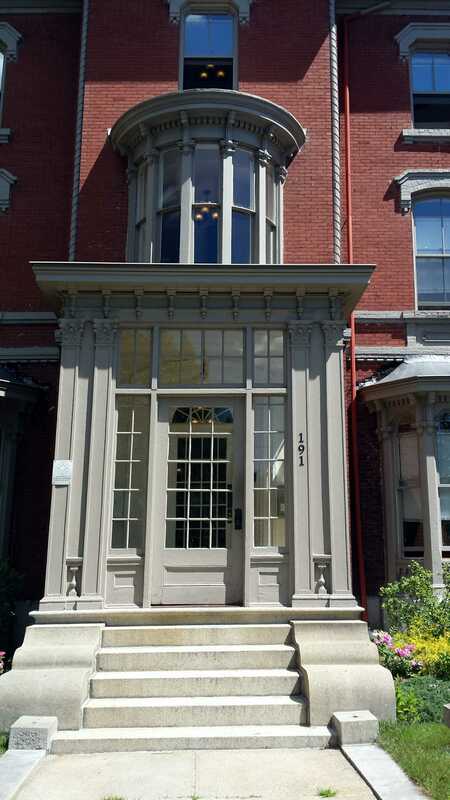 The influence of the Second Empire style, popular during and after the reign of Napoleon III, can be seen in the window treatments and mansard roof. 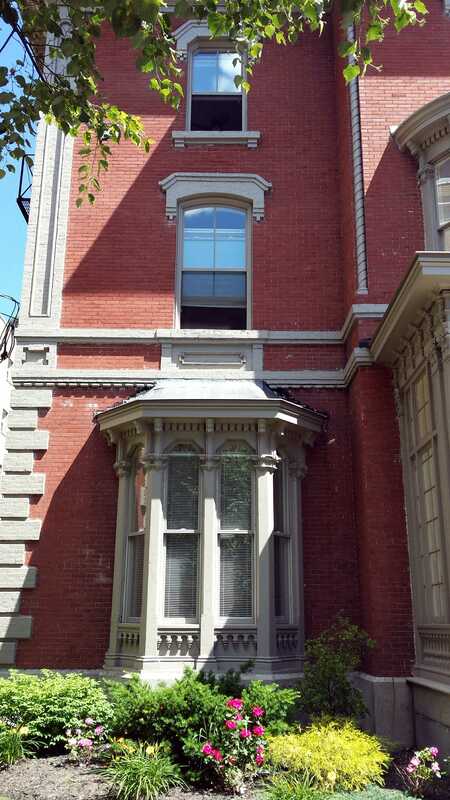 A very fascinating, and rare, bit of detail on the house is the rope molding on the second floor corners of the central projecting bay. 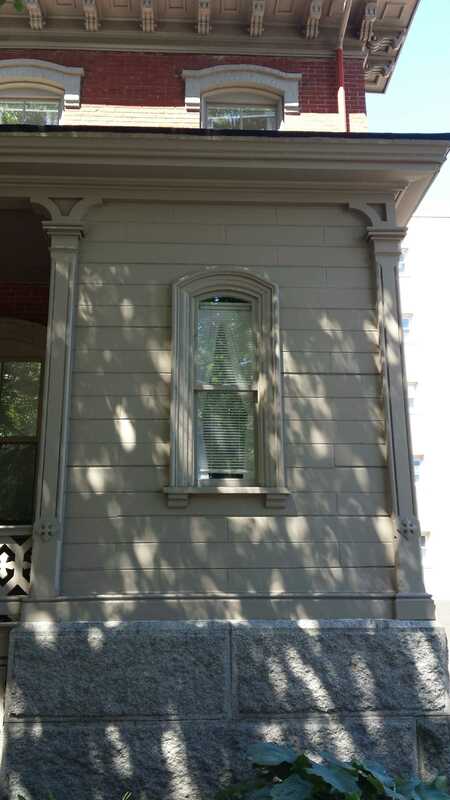 It’s an element sometimes found on Second Empire buildings, usually as a window molding. 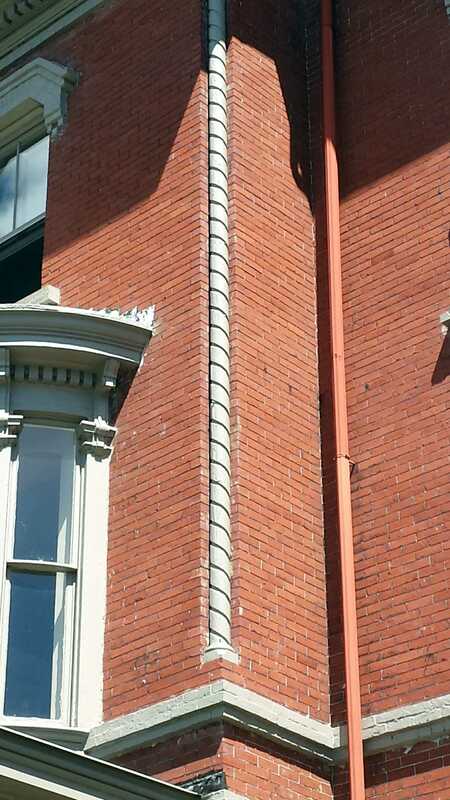 Here in Portland, the only example of such a molding I am aware of is The Cummings house at 143 Pine Street from 1863 where it was used on the corners of the Mansard roof and in the frieze. 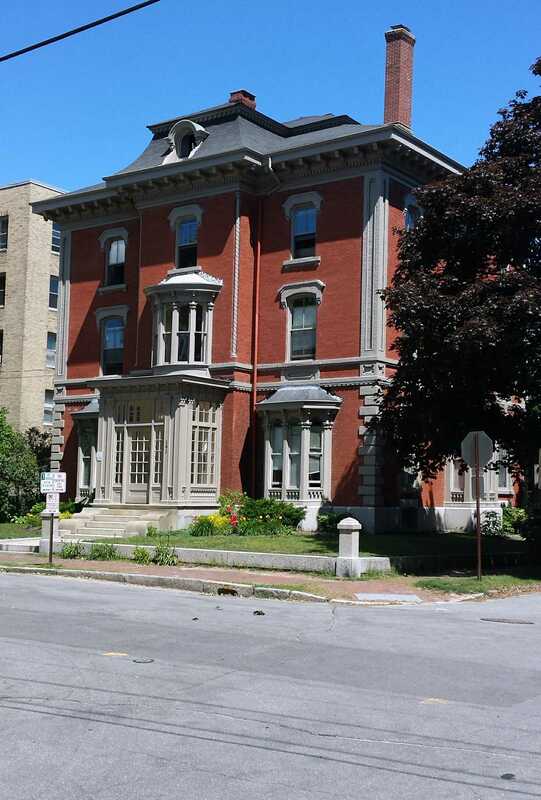 Observant readers may note that Thomas Cummings was an architect practicing architecture in the city in 1866. From that, the question may be asked if Cummings may have designed our subject. He may have but I feel the overall design is not fitting with his work I know of and is much more in Fassett’s oeuvre. The bay windows flanking the entry pavilion are all Fassett. The size, scale and details are seen repeatedly in his works. A note should be made of the vertical effect of the bay, 2nd and 3rd story windows & the decorative panel above the bay. Another example of Fassett’s style. Edmund Phinney died in October of 1884. Jane would remain in the house until October of 1892 when she sold it to Jacob Winslow who immediately sold it to Edward Tomlinson. At the same time, Tomlinson mortgaged the home for $6000. Jane was the holder of the mortgage. It was paid off in 1894. Jane passed away in 1918. Edward Tomlinson was a founder and the vice president of Milliken Tomlinson. The firm imported coffee and spices. They also roasted coffee and were wholesale grocers. When Edward died in 1898, his wife Henrietta inherited the property. She transferred it to their son Fenton in 1906. The following year Fenton married Madeleine Baxter, the youngest child of James P and Mehitabel Baxter. In 1909 Fenton transferred ownership the Madeleine. When Fenton died in 1921 Madeleine transferred the property to her brother Percival Baxter to serve as her agent. Much has been written about Percy’s life so I will limit myself to noting he purchased the lands that would become Baxter State Park. He was a major benefactor of countless causes throughout the state. Madeleine died in 1938 but Percy would hold the property until 1943. 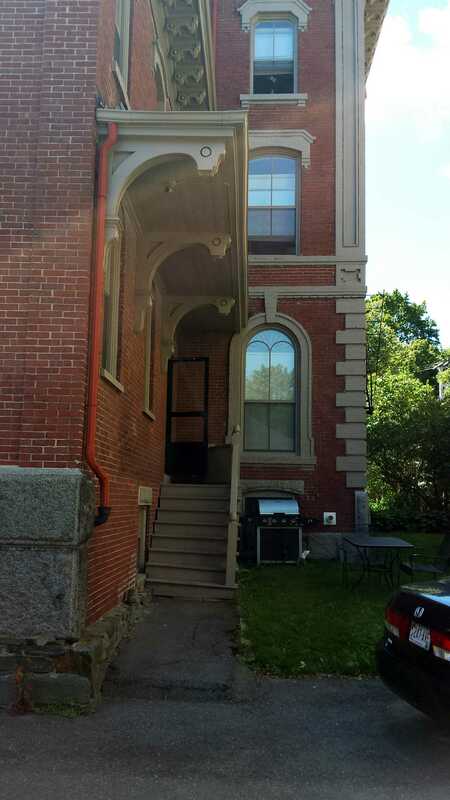 As seen in the tax photo, the house had a very prominent Italianate cupola, another ‘Fassett’ feature. Sometime since then, the cupola was removed as, sadly, has happened to many homes in the city. That being said, the house is in very good shape and has been well maintained. The decorative treatments were carried to all sides of the main block as well as the two longs sides of the rear ell. They were reduced in complexity on the rear elevation of the ell. The property passed through several owners through the next 50+ years before conversion to condominiums in 2006 then to apartments in 2012. It is currently listed as a 10 family.